There were several important reports on the U.S. economy released this morning. 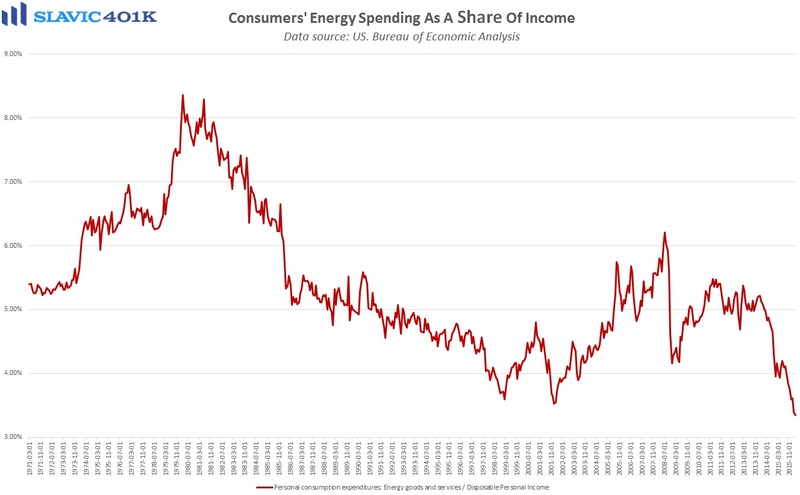 First, data from the U.S. Department of Commerce showed that personal income for Americans increased by 0.4 percent ($57.4 billion) in March, more than expected, and private wages and salaries rose by $26.3 billion, a welcome turnaround from February’s $8.0 billion decrease. 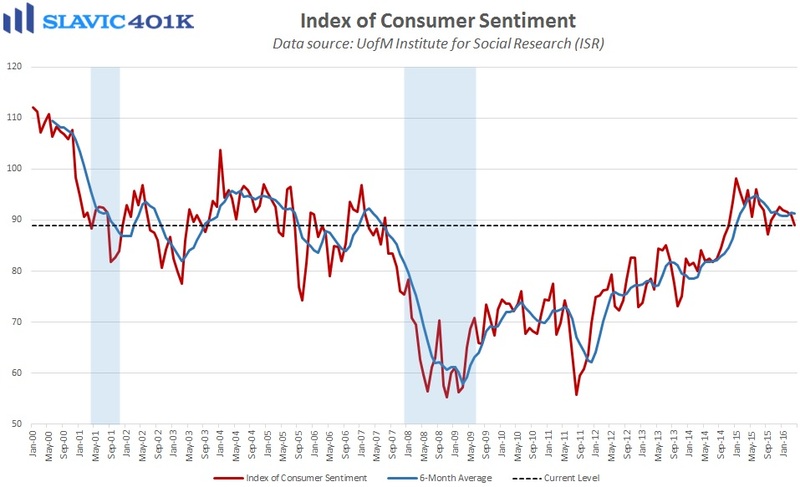 Consumer outlays, which account for almost 70 percent of the U.S. economy (GDP), lifted by only 0.1 percent last month, half the gain that economists had expected, and personal saving as a percentage of disposable personal income, i.e. 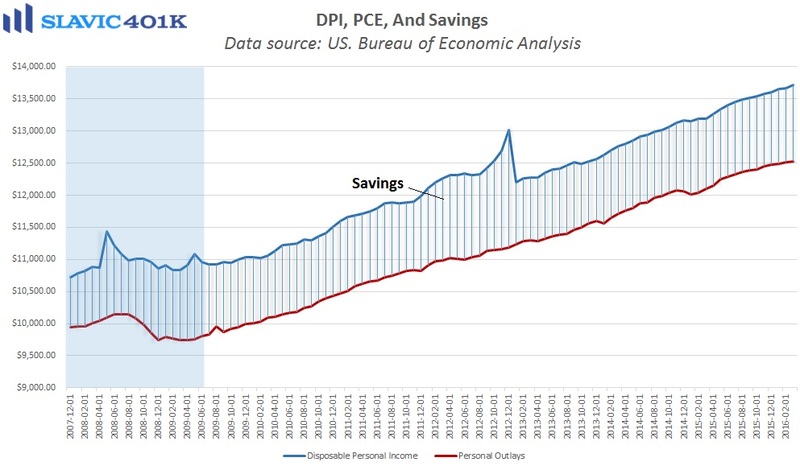 the personal saving rate, jumped to 5.4 percent, the highest reading since December 2012. 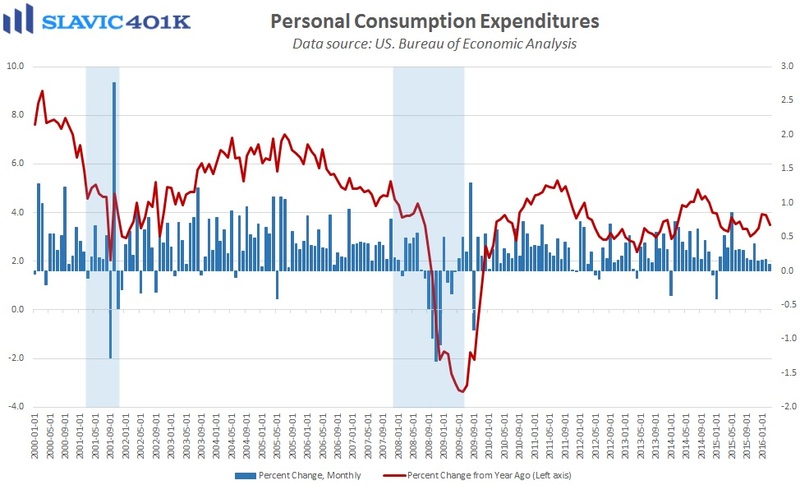 Also in the report, the personal consumption expenditures (PCE) core price index, one of the Federal Reserve’s preferred measures of inflation in America, posted a year-over-year gain of 1.6 percent in March. 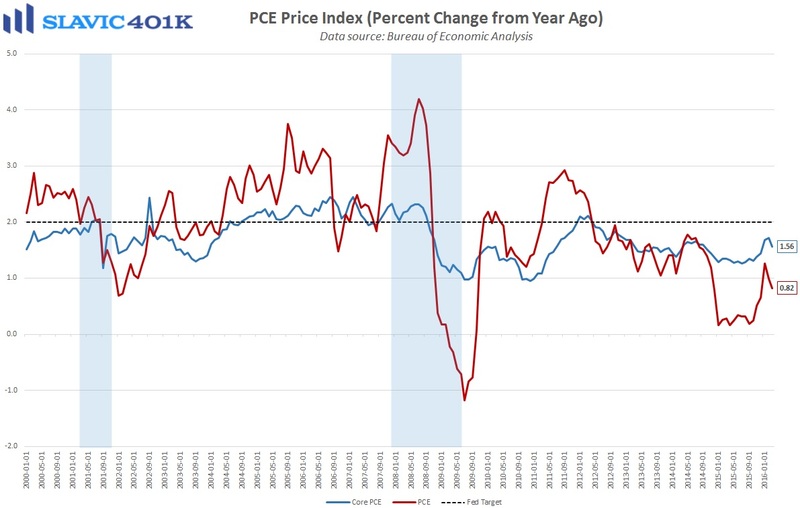 This is down from February and far enough below the Fed’s 2.0 percent “target” to help officials justify leaving the federal funds rate unchanged at this month’s Federal Open Market Committee (FOMC) meeting. 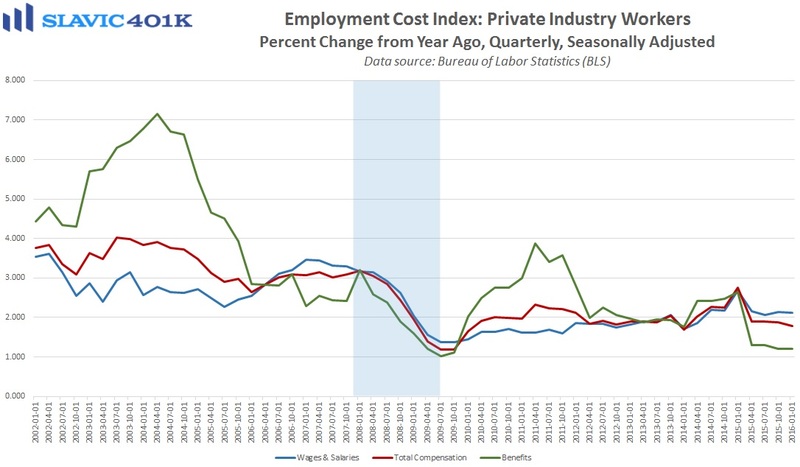 Next, a report from the Bureau of Labor Statistics (BLS) showed that employment costs in America continued to grow at a somewhat elevated pace last quarter. 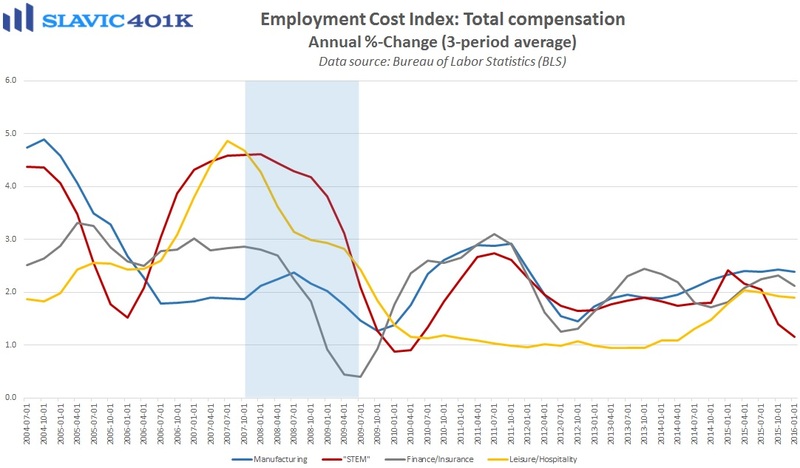 Specifically, total compensation costs for civilian workers in Q1 2016 lifted by 0.6 percent, seasonally adjusted, in line with what economists had predicted and similar to the gains seen in the second half of 2015. 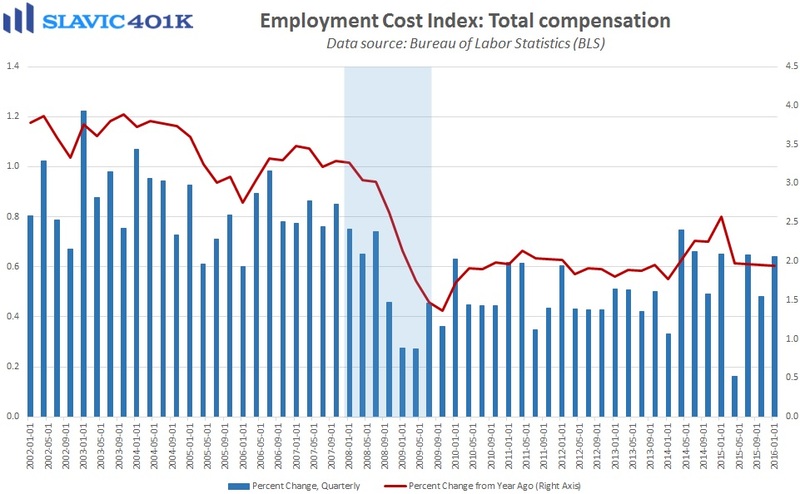 Wages and salaries, which make up about 70 percent of compensation costs, lifted by 0.7 percent last quarter, while benefits rose by 0.5 percent. Interestingly, as the last chart below shows, benefits drove employee compensation growth in the years immediately following the “Great Recession” but recently most of the gains have come from wages and salaries. 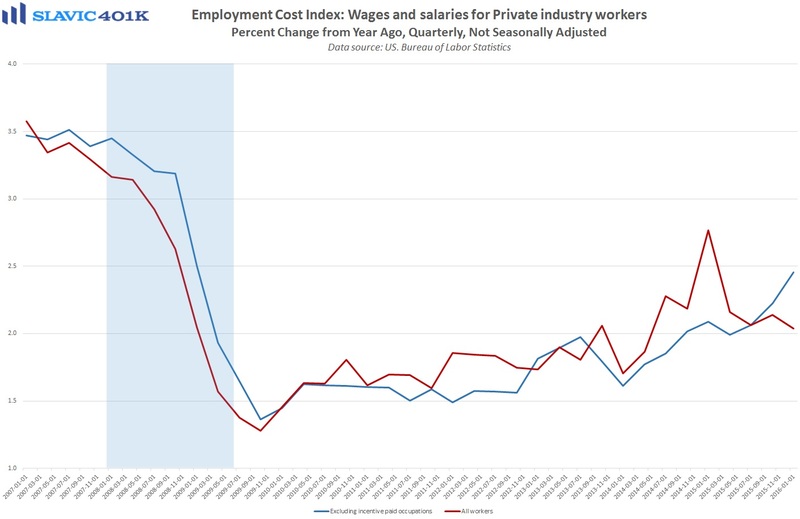 Further, the first chart below shows that excluding volatile incentive pay, U.S. wage growth is in a clear uptrend. 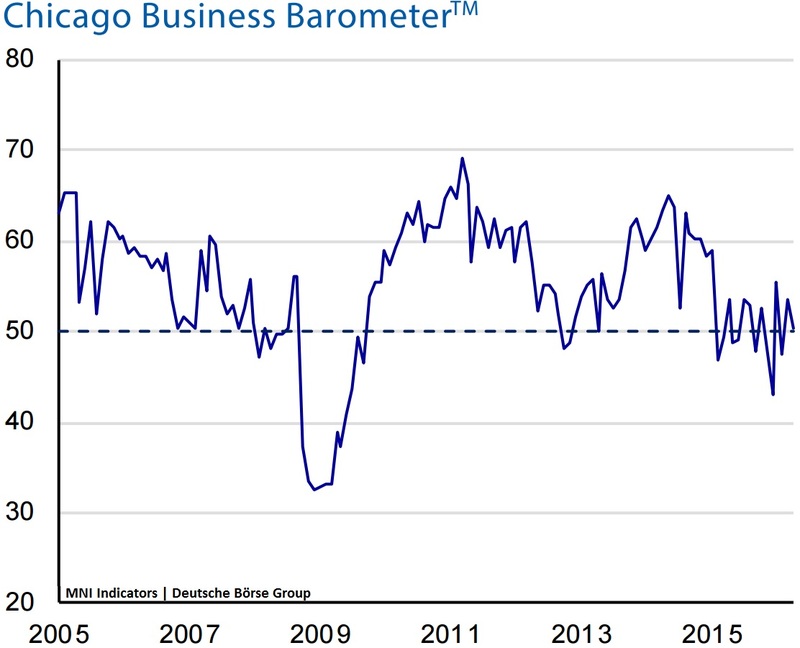 Elsewhere, the Chicago purchasing managers’ index (PMI) from Market News International (MNI), a measure of regional business activity that is often viewed as an indicator for the overall U.S. economy, fell to 50.4 in April. This is significantly worse than expected and just fractionally above contractionary territory. Under the hood, the decline was driven by weaker new orders growth and a big drop in order backlogs. Inventories jumped to the highest level since last October, and the report’s authors added that “Order patterns continued to be plagued by a lack of large orders and absence of international demand … Softer ordering led to a decrease in the Employment component, which fell back into contraction, where it has been in 10 of the last 12 months.” More than a quarter (28.6 percent) of surveyed managers also expressed concerns about the impact another rate hike by the Federal Reserve could have on business growth.